This Fantastic product allows any Ctouch interactive screen up to 70" to be wall mounted on two rails with electric height adjustment. This Wall mount features a height adjustable lift with a fully adjustable 700mm stroke with a total load capacity of 125kg. 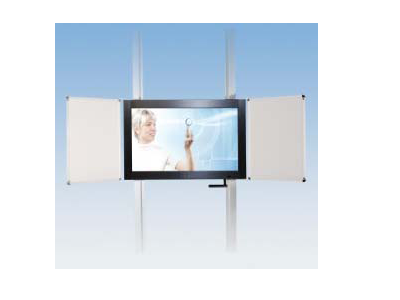 The Lift is constructed from two aluminum columns and is suitable for all ctouch interactive screens from 46 " up to 70". This lift is extremely usefull in classroom scenarios not only making it easy for small children to reach the screen.